Prominent & Leading Manufacturer from Ahmedabad, we offer fiber laser metal marking machine, lamp laser marking machine, laser marker, cnc engraving machine, fiber laser metal marking system and fiber laser marker. In order to keep pace with the ever-growing demand of our customers, Vision Embesoft Solution involved in offering a wide assortment of Fiber Laser Marking Machine. This Metal Fiber Laser Marking Machine is extensively used in different industries. Metal Fiber Laser Marking Machine product thoroughly tested on diverse parameters by our qualified quality controllers to dispatch a flawless range at the customer’s end. Our Metal Fiber Laser Marking Machine is known for their robustness, efficient performance and long functionality. Our entire products ranges are highly acknowledged in the market. Metal Fiber Laser Marking Machine offers a non-contact, abrasion-resistant, permanent laser marking onto almost any type of material. Metal Fiber Laser Marking Machine process is Clean and Safe process –Chemical-proof, water-proof, oil, grease & fuel-proof. No pre or post processing – Laser marking can be done on finished products. Metal Fiber Laser Marking Machine is internationally Accepted as Quality Marking Standard. Visible ‘Pilot’ beam shows the laser marking location for fast, accurate setup. One of the prime advantage of laser marking is that it can be automized and can be integrated with any online process. We are offering Lamp Laser Marking Machine to our clients. The Lamp Laser Marking Machine process is virtually all metals and plastics and various other materials with high contrast and without adding any undesirable substance. In most cases, the typical physical effect of theLamp Laser Marking Machine induces a color change within the material so there is no surface modification by corrugations or burrs. Different laser marking methods and laser sources are used, to achieve the best results on every type of material. Lamp Laser Marking Machine is highly flexible process compared to any other marking process. Lamp Laser Marking Machine machine can mark any images and fonts without changing any punch, die, stencil etc. unlike other conventional processes. Lamp Laser Marking Machine machine offers a non-contact, abrasion-resistant, permanent laser marking onto almost any type of material. Lamp Laser Marking Machine process is Clean and Safe process –Chemical-proof, water-proof, oil, grease & fuel-proof. Lamp Laser Marking Machine is internationally Accepted as Quality Marking Standard. Visible ‘Pilot’ beam shows the laser marking the location for fast, accurate setup. One of the prime advantages of laser marking is that it can be automized and can be integrated with any online process. With the support of software variable serial numbers, batch numbers, Date Coding and 1D, 2D barcode can be laser marked. Text laser marking with all Windows True Type Fonts. Lamp Laser Marking Machine marking on Jewellery, Medical Instruments, Automotive, Consumer Goods, Electronics Parts and Giftware etc. Using Laser Marking, Clean Plastic and Metal Surfaces. Lamp Laser Marking Machine can be Engrave Deep or Fine. In order to keep pace with the ever-growing demand of our customers, Vision Embesoft Solution involved in offering a wide assortment of Fiber Laser Marking Machine. 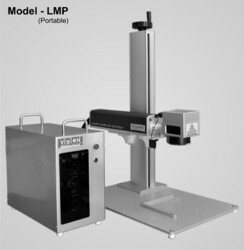 This Laser Marker is extensively used in different industries. Laser Markerproduct thoroughly tested on diverse parameters by our qualified quality controllers to dispatch a flawless range at the customer’s end. Our Laser Markeris known for their robustness, efficient performance and long functionality. Our entire products ranges are highly acknowledged in the market. Laser Marker Machine offers a non-contact, abrasion-resistant, permanent laser marking onto almost any type of material. Laser Marker process is Clean and Safe process –Chemical-proof, water-proof, oil, grease & fuel-proof. Laser Marker is internationally Accepted as Quality Marking Standard. One of the prime advantage of Fiber Laser Marker is that it can be automized and can be integrated with any online process. In order to keep pace with the ever-growing demand of our customers, Vision Embesoft Solution involved in offering a wide assortment of Fiber Laser Marking Machine. This CNC Engraving Machine is extensively used in different industries. CNC Engraving Machine product thoroughly tested on diverse parameters by our qualified quality controllers to dispatch a flawless range at the customer’s end. Our CNC Engraving Machine is known for their robustness, efficient performance and long functionality. Our entire products ranges are highly acknowledged in the market. CNC Engraving Machine offers a non-contact, abrasion-resistant, permanent laser marking onto almost any type of material. CNC Engraving Machine process is Clean and Safe process –Chemical-proof, water-proof, oil, grease & fuel-proof. CNC Engraving Machine is internationally Accepted as Quality Marking Standard. We own a rich experience in dealing with Fiber Laser Metal Marking System in the industry. 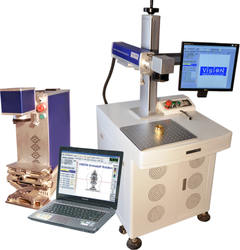 Our offered range of Laser Marking System is easily and conveniently used by the user. They are specifically designed according to demand of our customers. We never compromise with the product quality and processed our products using the best techniques. Our range of product is highly appreciated among our clients due to their trouble free performance and superior quality. We have emerged as one of the topmost names in the industry for our extensive range of product. • With the support of software variable serial numbers, batch numbers, Date Coding and 1D, the 2D barcode can be laser marked. • Text laser marking with all Windows True Type Fonts. • Fiber Laser Metal Marking System on Jewelry, Medical Instruments, Automotive, Consumer Goods, Electronics Parts and Giftware etc. • Using Laser Marking, Clean Plastic, and Metal Surfaces. • Laser Marking System scan is Engrave Deep or Fine. In order to keep pace with the ever-growing demand of our customers, Vision Embesoft Solution involved in offering a wide assortment of Fiber Laser Marking Machine. This Fiber Laser Marker is extensively used in different industries. Fiber Laser Marker product thoroughly tested on diverse parameters by our qualified quality controllers to dispatch a flawless range at the customer’s end. Our Fiber Laser Marker is known for their robustness, efficient performance and long functionality. Our entire products ranges are highly acknowledged in the market. Fiber Laser Marker Machine offers a non-contact, abrasion-resistant, permanent laser marking onto almost any type of material. Fiber Laser Marker process is Clean and Safe process –Chemical-proof, water-proof, oil, grease & fuel-proof. Fiber Laser Marker is internationally Accepted as Quality Marking Standard. In order to keep pace with the ever-growing demand of our customers, Vision Embesoft Solution involved in offering a wide assortment of Fiber Laser Marking Machine. This Laser Marker is extensively used in different industries.Laser Marker product thoroughly tested on diverse parameters by our qualified quality controllers to dispatch a flawless range at the customer’s end. Our Laser Marker is known for their robustness, efficient performance and long functionality. Our entire products ranges are highly acknowledged in the market. Laser Marker offers a non-contact, abrasion-resistant, permanent laser marking onto almost any type of material. In order to keep pace with the ever-growing demand of our customers, Vision Embesoft Solution involved in offering a wide assortment of Fiber Laser Marking Machine. 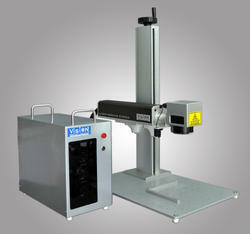 This Roll marking Machine is extensively used in different industries. Roll marking Machine product thoroughly tested on diverse parameters by our qualified quality controllers to dispatch a flawless range at the customer’s end. Our Roll marking Machine is known for their robustness, efficient performance and long functionality. Our entire products ranges are highly acknowledged in the market. Roll marking Machine offers a non-contact, abrasion-resistant, permanent laser marking onto almost any type of material. Roll marking Machine Machine process is Clean and Safe process –Chemical-proof, water-proof, oil, grease & fuel-proof. Roll marking Machine is internationally Accepted as Quality Marking Standard. We are manufacturer of Valve Laser Marking Machine. Valve Laser Marking Machine offers a non-contact, abrasion-resistant, permanent laser marking onto almost any type of material. Laser marking process is Clean and Safe process –Chemical-proof, water-proof, oil, grease & fuel-proof. Valve Laser Marking Machine is internationally Accepted as Quality Marking Standard. With support of software variable serial numbers, batch numbers, Date Coding and 1D, 2D barcode can be laser marked. Valve Laser Marking Machine on Jewellery, Medical Instruments, Automotive, Consumer Goods, Electronics Parts and Giftware etc. Valve Laser Marking Machine can be Engrave Deep or Fine. As a reputed firm, we are engaged in manufacturing, supplying as well as exporting a wide range of Piston Ring Laser Marking Machine in Gandhinagar, Gujarat, India. This range of Piston Ring Laser Marking Machine is manufactured by making use of best quality raw materials, procured from well-known vendors of the industry and upgraded machinery, tools with advance technology. Piston Ring Laser Marking Machine on Jewellery, Medical Instruments, Automotive, Consumer Goods, Electronics Parts and Giftware etc. Piston Ring Laser Marking Machine can be Engrave Deep or Fine. We are manufacturer of Industrial Fiber Laser Marking System. Industrial Fiber Laser Marking System offers a non-contact, abrasion-resistant, permanent laser marking onto almost any type of material. Industrial Fiber Laser Marking System process is Clean and Safe process –Chemical-proof, water-proof, oil, grease & fuel-proof. Industrial Fiber Laser Marking System is internationally Accepted as Quality Marking Standard. Industrial Fiber Laser Marking System on Jewellery, Medical Instruments, Automotive, Consumer Goods, Electronics Parts and Giftware etc. Industrial Fiber Laser Marking System can be Engrave Deep or Fine. Industrial Fiber Laser Marking System machine offers a non-contact, abrasion-resistant, permanent laser marking onto almost any type of material. We are offering Gear Laser Marking Machine to our clients. We are engaged in manufacturing, supplying and exporting a large range of Gear Laser Marking Machine in Gandhinagar, Gujarat, India. These products are manufactured using high-grade raw material and latest technology machines. We provide this range at moderately prices. The Gear Laser Marking Machine process is virtually all metals and plastics and various other materials with high contrast and without adding any undesirable substance. In most cases the typical physical effect of the Gear Laser Marker induces a color change within the material so there is no surface modification by corrugations or burrs. Different laser marking methods and laser sources are used, to achieve the best results on every type of material. Gear Laser Marking Machine is highly flexible process compared to any other marking process. Laser marking machine can mark any images and fonts without changing any punch, die, stencil etc. unlike other conventional process. Gear Laser Marking Machine offers a non-contact, abrasion-resistant, permanent laser marking onto almost any type of material. Gear Laser Marking Machine process is Clean and Safe process –Chemical-proof, water-proof, oil, grease & fuel-proof. Gear Laser Marking Machine is internationally Accepted as Quality Marking Standard. Gear Laser Marking Machine on Jwelery,Medical Instruments,Automotive,Consumer Goods,Electronics Parts and Giftware etc. Using Laser Marking,Clean Plastic and Metal Surfaces. Laser marking can be Engrave Deep or Fine. We are manufacturer of Bearing Laser Marking Machine. Bearing Laser Marking Machine offers a non-contact, abrasion-resistant, permanent laser marking onto almost any type of material. Bearing Laser Marking Machine process is Clean and Safe process –Chemical-proof, water-proof, oil, grease & fuel-proof. Bearing Laser Marking Machine is internationally Accepted as Quality Marking Standard. Bearing Laser Marking Machine on Jewelry, Medical Instruments, Automotive, Consumer Goods, Electronics Parts and Giftware etc. Bearing Laser Marking Machine can be Engrave Deep or Fine. We are manufacturer of YAG Laser Marking Machine. The YAG Laser Marking Machine process is virtually all metals and plastics and various other materials with high contrast and without adding any undesirable substance. In most cases the typical physical effect of the laser marker induces a color change within the material so there is no surface modification by corrugations or burrs. Different laser marking methods and laser sources are used, to achieve the best results on every type of material. YAG Laser Marking Machine is highly flexible process compared to any other marking process. YAG Laser Marking Machine can mark any images and fonts without changing any punch, die, stencil etc. unlike other conventional processes. YAG Laser Marking Machine offers a non-contact, abrasion-resistant, permanent laser marking onto almost any type of material. YAG Laser Marking Machine process is Clean and Safe process –Chemical-proof, water-proof, oil, grease & fuel-proof. YAG Laser Marking Machine is internationally Accepted as Quality Marking Standard. YAG Laser Marking Machine on Jewellery, Medical Instruments, Automotive, Consumer Goods, Electronics Parts and Giftware etc. YAG Laser Marking Machine can be Engrave Deep or Fine. Among its many features are ease-of-use, high performance, flexibility, and low cost that give you the best laser marking software on the market today. LIPI software is developed by our highly skilled professionals developers, we proudly say that "MAKE IN INDIA". By capitalizing the skills of our professionals, we are able to provide quality approved range of Table Top Fiber Laser Marking Machine to our esteemed clients. This Table Top Fiber Laser Marking Machine at ultra-modern unit using the premium quality components and advanced technology as per the set quality standards. They are easy to use and provide efficient working to the clients as per their requirement. We never compromise with the product quality and deliver our assignments in a committed time frame for gaining maximum customers satisfaction. Having attained a leading position in the industry with our years of experience, we are able to manufacture, supply and export high-grade Diode Laser Marking Machine. It is using for marking and engraving on different jewelry items, automobile vehicles, hardware components and different electrical & electronic instruments. Offered machine is highly demanded among the clients for its rigid construction, optimum performance, resistance against corrosion & abrasion, low energy consumption and less maintenance. Our Diode Laser Marking Machine is stringently checked on various quality parameters to ensure its flawlessness. We are the manufacturer of Spoon Laser Marking machine. Spoon Laser Marking machine offers a non-contact, abrasion-resistant, permanent laser marking onto almost any type of material. Spoon Laser Marking machine is internationally Accepted as Quality Marking Standard. Spoon Laser Marking machine on Jewellery, Medical Instruments, Automotive, Consumer Goods, Electronics Parts and Giftware etc. Spoon Laser Marking machine can be Engrave Deep or Fine. We are manufacturer of Moving Head Fiber Laser Marking System. The Moving Head Fiber Laser Marking System process is virtually all metals and plastics and various other materials with high contrast and without adding any undesirable substance. In most cases the typical physical effect of the laser marker induces a color change within the material so there is no surface modification by corrugations or burrs. Different laser marking methods and laser sources are used, to achieve the best results on every type of material. Moving Head Fiber Laser Marking System is highly flexible process compared to any other marking process. Laser marking machine can mark any images and fonts without changing any punch, die, stencil etc. unlike other conventional process. Moving Head Fiber Laser Marking System on Jewellery, Medical Instruments, Automotive, Consumer Goods, Electronics Parts and Giftware etc. Moving Head Fiber Laser Marking System can be Engrave Deep or Fine. As we are considered amongst well known organizations, we are engaged in manufacturing, supplying and exporting a large range of 3D Laser Marking Machines in Gandhinagar, Gujarat, India. These products are manufactured using high-grade raw material and latest technology machines. We provide this range at moderately prices. The 3D Laser Marking Machines marking process is virtually all metals and plastics and various other materials with high contrast and without adding any undesirable substance. In most cases the typical physical effect of the laser marker induces a color change within the material so there is no surface modification by corrugations or burrs. Different laser marking methods and laser sources are used, to achieve the best results on every type of material. 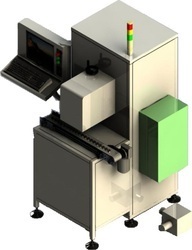 3D Laser Marking Machines is highly flexible process compared to any other marking process. Laser marking machine can mark any images and fonts without changing any punch, die, stencil etc. unlike other conventional process. 3D Laser Marking Machines offers a non-contact, abrasion-resistant, permanent laser marking onto almost any type of material. 3D Laser Marking Machines process is Clean and Safe process –Chemical-proof, waterproof, oil, grease fuel-proof. 3D Laser Marking Machines is internationally Accepted as Quality Marking Standard. 3D Laser Marking Machines can be Engrave Deep or Fine. We are offering Co2 Laser Marking Machine to our clients. Co2 Laser Marking Machine offers a non-contact, abrasion-resistant, permanent laser marking onto almost any type of non metallic material. Co2 Laser marking process is Clean and Safe process –Chemical-proof, water-proof, oil, grease & fuel-proof. No pre or post processing Co2 Laser marking can be done on finished products. Co2 Laser Marking is internationally accepted as Quality marking standard. We are offering Jeans Laser Marking Machine to our esteemed clients. Jeans Laser Marking Machine offers the most cost-effective solution in laser marking and engraving technology. These compact units commonly replace other marking technologies such as ink jet, dot peen and labeling due to the CO2 laser’s ability to achieve high-speed marking while maintaining mark quality. These Jeans Laser Marking Machine provide non-contrast marking in plastics as well as ink removal for date coding. Jeans Laser Marking Machine offers a non-contact, abrasion-resistant, permanent laser marking onto almost any type of non metallic material. Jeans Laser Marking Machine process is Clean and Safe process –Chemical-proof, water-proof, oil, grease fuel-proof. No pre or post processing –Co2 Laser marking can be done on finished products. Jeans Laser Marking Machine is internationally accepted as Quality marking standard. One of the prime advantage of Co2 laser marking is that it can be automized and can be integrated with any online process. Jeans Laser Marking Machine can mark a vast majority of non-metallic materials, such as wood, paper packaging, plastic products, label paper, leather, cloth, glass, ceramics, resin, bamboo products, PCB panels. 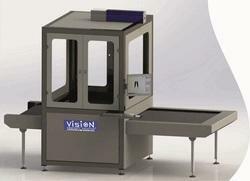 Vision Embesoft Solution offers LPCO2 Non Metal Laser Marking System. CO2 laser is pumped with Sealed CO2 Gas. Non Metal Laser Marking System offers a non-contact, abrasion-resistant, permanent laser marking onto almost any type of non metallic material. Non Metal Laser Marking System process is Clean and Safe process –Chemical-proof, water-proof, oil, grease & fuel-proof. Non Metal Laser Marking System is internationally accepted as Quality marking standard. In order to keep pace with the ever-growing demand of our customers, Vision Embesoft Solution involved in offering a wide assortment of Fiber Laser Marking Machine. 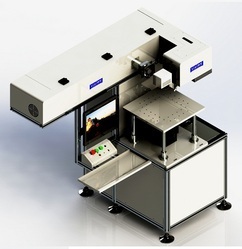 This Laser Marking System is extensively used in different industries. Laser Marking System product thoroughly tested on diverse parameters by our qualified quality controllers to dispatch a flawless range at the customer’s end. Our Laser Marking System is known for their robustness, efficient performance and long functionality. Our entire products ranges are highly acknowledged in the market. Laser Marking System offers a non-contact, abrasion-resistant, permanent laser marking onto almost any type of material. Laser Marking Systemg Machine process is Clean and Safe process –Chemical-proof, water-proof, oil, grease & fuel-proof. Laser Marking System is internationally Accepted as Quality Marking Standard. In order to keep pace with the ever-growing demand of our customers, Vision Embesoft Solution involved in offering a wide assortment of Fiber Laser Marking Machine. 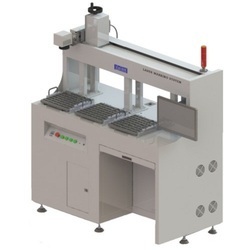 This Marking Machine is extensively used in different industries. Marking Machine product thoroughly tested on diverse parameters by our qualified quality controllers to dispatch a flawless range at the customer’s end. Our Marking Machine is known for their robustness, efficient performance and long functionality. Our entire products ranges are highly acknowledged in the market. Marking Machine offers a non-contact, abrasion-resistant, permanent laser marking onto almost any type of material. Marking Machine process is Clean and Safe process –Chemical-proof, water-proof, oil, grease & fuel-proof. Marking Machine is internationally Accepted as Quality Marking Standard. In order to keep pace with the ever-growing demand of our customers, Vision Embesoft Solution involved in offering a wide assortment of Fiber Laser Marking Machine. 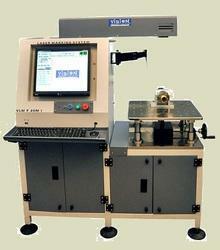 This Metal Marking Machine is extensively used in different industries. Metal Marking Machine product thoroughly tested on diverse parameters by our qualified quality controllers to dispatch a flawless range at the customer’s end. Our Metal Marking Machine is known for their robustness, efficient performance and long functionality. Our entire products ranges are highly acknowledged in the market. Metal Marking Machine offers a non-contact, abrasion-resistant, permanent laser marking onto almost any type of material. Metal Marking Machine process is Clean and Safe process –Chemical-proof, water-proof, oil, grease & fuel-proof. Metal Marking Machine is internationally Accepted as Quality Marking Standard. In order to keep pace with the ever-growing demand of our customers, Vision Embesoft Solution involved in offering a wide assortment of Fiber Laser Marking Machine. 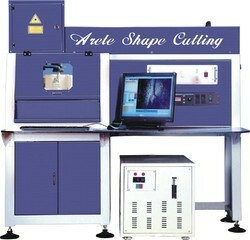 This Laser System is extensively used in different industries. Laser Systemproduct thoroughly tested on diverse parameters by our qualified quality controllers to dispatch a flawless range at the customer’s end. Our Laser Syatemsis known for their robustness, efficient performance and long functionality. Our entire products ranges are highly acknowledged in the market. Laser Systems offers a non-contact, abrasion-resistant, permanent laser marking onto almost any type of material. Laser Systems process is Clean and Safe process –Chemical-proof, water-proof, oil, grease & fuel-proof. Laser Systems is internationally Accepted as Quality Marking Standard. We own a rich experience in dealing with Roll Marking Machine in the industry. Our offered range of Roll Marking Machine is easily and conveniently used by the user. They are specifically designed according to demand of our customers.